Below is a list of reviews from various publishers, reviewers, critics and owners. "You get what you pay for" speaks volumes in the travel trailers' world as it does everywhere else. See what we have put together about the Legacy Elite II. Everyone we dealt with was incredibly kind and accommodating and they went out of their way to explain everything to us. The quality craftsmanship and attention to detail is really what sets Oliver apart. If you are in the area and are interested in molded fiberglass trailers, this tour is a must do. 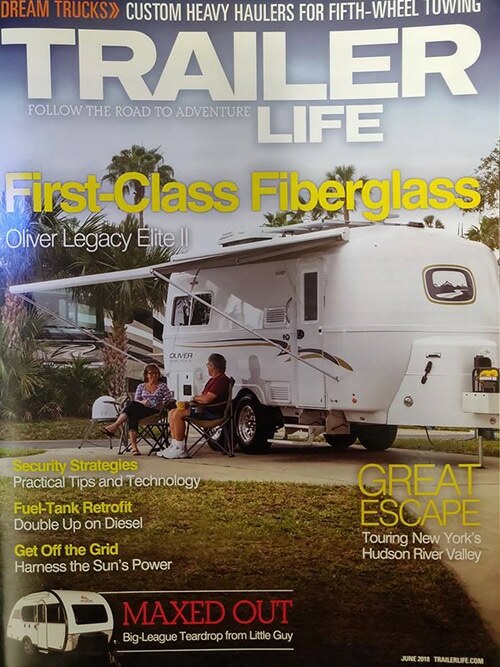 A recent review from Andrew Malo at mobilerving.com wrote an article on the Oliver Travel Trailer. Read the full article by clicking the Read More button below. Cait and I really enjoy factory tours, especially those pertaining to one of our great joys in life, RVs. Check out the list of the most popular manufacturers of travel trailers. The Oliver Legacy Elite contains all of the amenities and most of the comforts of a full-size trailer. This list is look at the most popular manufacturers of travel trailers, the models they make and how well they sell. We Are The Russo's give their in depth review of the Oliver Travel Trailer. 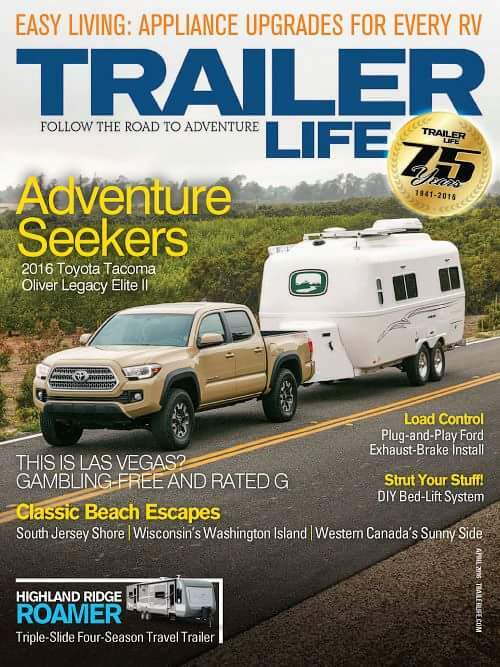 Located in Hohenwald, Tenn., Oliver Travel Trailers, the factory-direct manufacturer of double-shelled fiberglass and composite hull travel trailers, was founded by brothers Jim and John Oliver in 2007 out of necessity. Supersize Life is one of our newest Oliver Owners that decided to go live on the road. She enjoys boondocking, camping, the outdoors, and living life to the fullest! Here's her honest reviews of the trailers she was considering to buy before ultimately choosing an Oliver. This is a video review of the interior and exterior of the 2015 Oliver Legacy Elite II travel trailer. Read this couple's blog about their search for the perfect travel trailer. See the list they put together of the top 10 best RV trailer manufacturers for 2018.